During my to-do list app searching, 2Do is my favorite one. This app initially developed for iOS, and this is the best thing about this app. 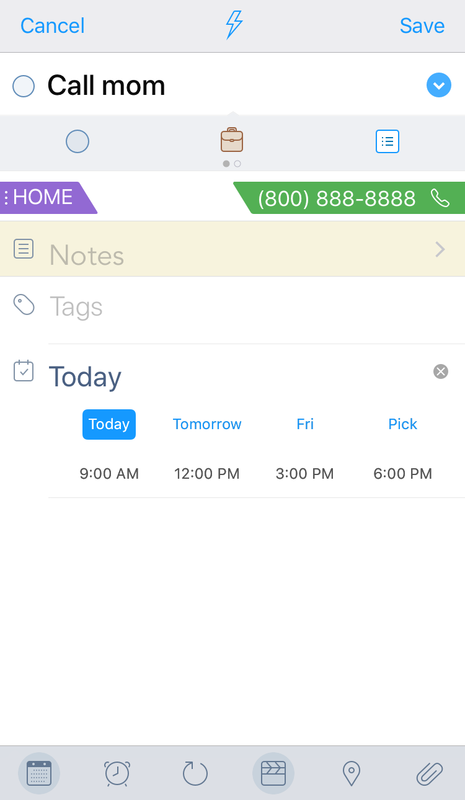 You can manage your to-do list on your smartphone without a computer, as it was designed for that purpose. Other than that, there is one essential functionality that the OmniFocus has never had so far: Action. When you plan to call your mom for something at a specific time, you can just create a task and pick up the action: call. You can either choose a phone number from your contacts or type in. 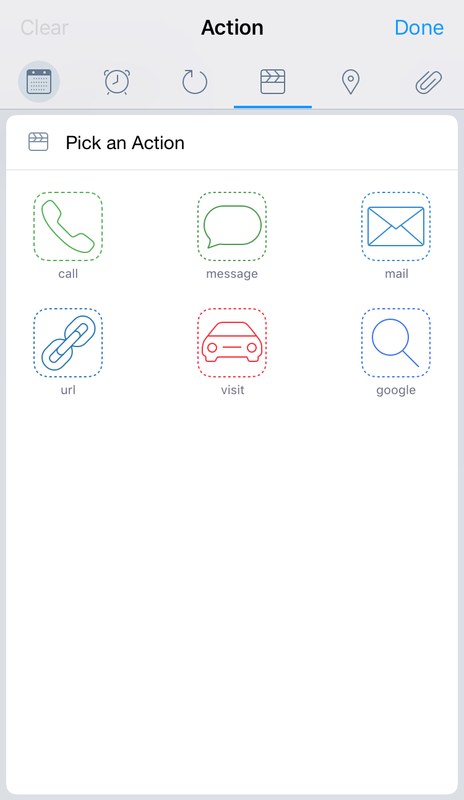 You don’t need to leave the app to make a phone call; instead, you can click the green bottom. This function is also available for some other todo list apps (e.g., Appigo Todo), but 2do make this function looks great. Another thing that I like the most is the pricing strategy. The starting price of 2do for iOS was $6.99, and the company provides discount periodically. I got the iOS version for $2.99. This is not the best part. The best thing is that they NEVER ask for an upgrade fee. Instead, they increase the price of the app with the improvement of the functionality. I consider that this is an appreciation for the loyal customers who were willing to support them in the very beginning. The iOS version is now free for download. If you want the pro version (you will! ), you can get it from in-app purchase for $19.99. For the Mac version, it is $49.99 now (the lowest price was $14.99), and I got it for $24.99. Since they always provide discount every couple months ( especially Thanksgiving and Christmas), I highly recommend that you should wait for the discount if you are not in hurry. For Apple and Andriod users only. 2Do has the similar issue as the OmniFocus: it is limited to specific platforms. 2DO provide solutions for Windows and other Unix-like OS users, which is Email to 2Do, years after the first release of this app. 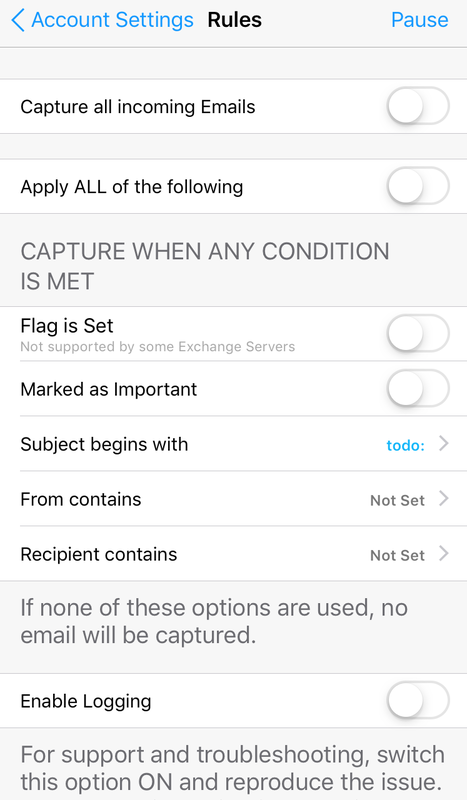 With this function, you can designate an Email account which their server should catch todo tasks for you (left figure). 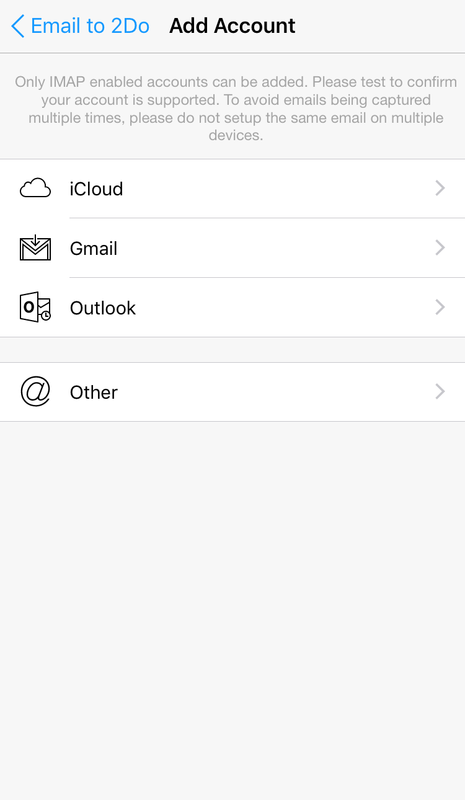 And then you can decide what types of Email should be caught as a task(right figure). You can even use the subject line of the Email to assign tags, lists, actions, etc, for that task. In the beginning, I was very excited about this function. With this function, I can email to myself to create a task from a Windows computer. For example, if I want to create a task while I am working on a Windows computer, and can send an Email to a designated account with title “todo: call mom list(Personal) due(today) tag(Home) action(call, 8008888888)”. However, I realized (you probably also noticed) that it is still too complex since I need to type a lot of (correct) information in order to put the task in the correct place. 2. There is no For Web version. This is the biggest issue in my opinion. A Web version would make this app perfect. However, it took the developer of this app (I believe that there is only one developer for this app) years to build for Mac version and Android version, and I don’t think that he is planning to build and maintain a Web server. 3. Limited file attachment options. Only voice memo and photos could be really attached to the task. Although you can attach file-link to a task, it is not that convenient in some circumstances. Especially when you work on different devices frequently, and the file is for only one-time use (in that case you don’t want to waste your time putting it on your cloud drive, creating the link, and deleting it after using it). manage their to-do list on a tablet (a phone screen is too small for me). If you have a tablet which you can access all the time, I think 2Do is for you. It is powerful, beautiful, and the price is also affordable. For Mac version of this app is not necessary but a plus. consider beautiful User Interface is a MUST. To conclude, 2Do will be the best to-do list app if it has a For Web version, period.